The Forester is Subaru’s second model to be assembled at this plant, following the Subaru XV crossover that has been produced there since December 2012. TCS plans to assemble approximately 10,000 units of the Forester annually. 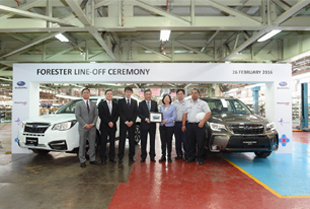 Locally-assembled Forester will go on sale this spring in Malaysia, Thailand and Indonesia through the Subaru dealer network operated by Tan Chong International. In its mid-term management vision “Prominence 2020” announced on May 9, 2014, FHI laid out initiatives to build a strong business structure. Among them is the development of a strong business foundation in Southeast Asia, in which CKD production of the Forester in Malaysia plays an important role. 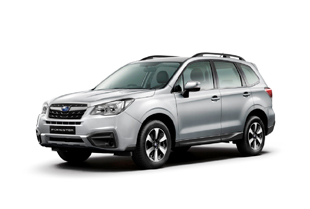 With the Forester added to its range of locally-assembled models, FHI aims to further enhance Subaru sales in the growing ASEAN market, offering Subaru’s distinctive “Enjoyment and Peace of Mind” driving experience to customers in the region.